New outpost of Sticky’s Finger Joint in the Union Square, NYC completed! Aerial’s Design and Build Fall Newsletter 2018 is out! Takamichi Beauty Room at 125 E 17th St in NYC completed! Aerial completed an elegant apartment located at 221 W 77th Street in the Manhattan’s Upper West Side. Click here to visit our photo gallery. Warm and welcoming loft at 76 Laight Street in Tribeca, NYC completed! Rosemary’s Pizza hospitality project in the West Village, NYC completed! Aerial selected to build Rosemary’s Pizza in West Village, NYC! Our bathroom renovation project at 252 7th Ave in NYC featured third time in the Houzz! We are very proud that our project at 252 7th Ave, NYC, designed by Jessica Maktal, has been featured in Houzz already third time! Click here to read full article. Aerial’s Fall 2017 Newsletter is out! 800 West End Ave, NYC Residential Project Completed! 142 Bank St, NYC Residential Project Completed! October 2017 – La Pecora Bianca hospitality project completed! Ando Kitchen in Downtown Manhattan NYC completed! 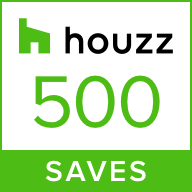 Aerial’s 252 7th Ave bathroom project has been featured for second time on Houzz! Aerial featured in NYMag as one of the Best Construction Firms in New York! Aerial’s Bathroom Project featured in the HOUZZ Editorial Series! 420 E 72nd St, NYC residential project completed! Another Aerial’s residential project located at 420 E 72nd St in NYC has been successfully completed and handed over to the client. July 2017 – 252 7th Ave, NYC residential project completed! Aerial is currently working, among others, on a new commercial office space in Lynbrook, Long Island & renovation of an existing hotel lobby at the Riverside Tower Hotel. Visit Aerial facebook page and stay tuned for our news updates! Birch Coffee in Soho, NYC completed! Aerial’s Spring 2017 Newsletter is out! Boba Guys in Greenwich Village, NYC completed! March 2017 – Villanelle restaurant in East Village, NYC completed! Aerial’s Winter 2016 Newsletter is out! December 2016 – Verde Curated Greens completed! November 2016 – Ancolie project completed!